Our trademark, our inception marker – the ‘unofficial’ national dish of Trinidad & Tobago understandably needs us. 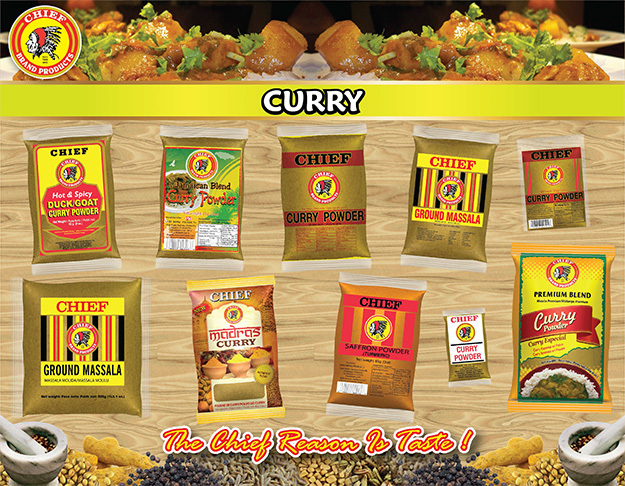 A must have in every local and international kitchen are Chief’s Curry Products. Amchar Massala: Dark & Roasted with an intense flavor. This is a mixture of several spices which is used to create a lot of pickled foods, Indian-style. In Trinidad & Tobago, it complements various tropical fruits such as mangoes, pommecythere, papaya and others, as creativity take over. 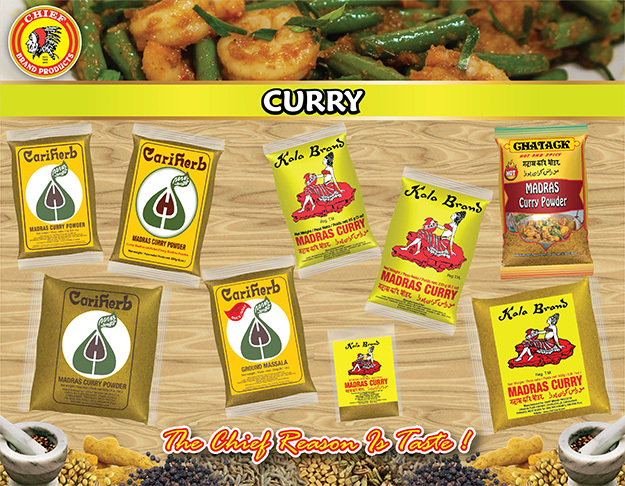 Garam Massala: ‘Garam’ translated to mean “hot”, but not because it is spicy. Actually, using this product is healthy as it raises your body heat by raising your metabolism. It is used in a variety of dishes but should be added to the pot when you’re almost finished cooking, for maximum input. Cumin or Geera: Omitting a warm earthy flavor with hints of a lemon-like aroma. Yes, very distinctive. It is often added to grains, vegetables and meat dishes. 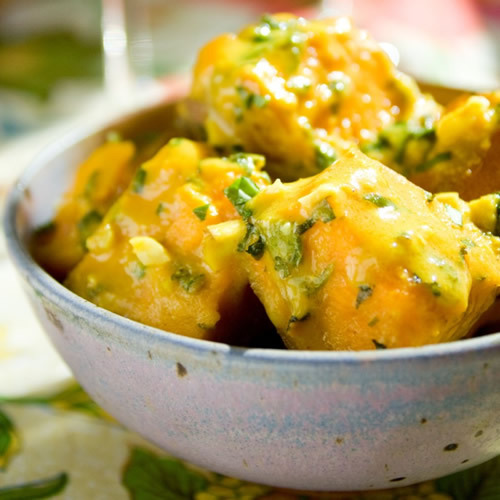 Trinidadian locals especially love Geera Chicken and could hardly do without this spice in curried meals, as an enhancer. Turmeric or Saffron: Standing out because of its colour – golden yellow in the world of spice. This product is multi-faceted in usage: from enhancing rice with a beautiful rich colour to creating a healthy lifestyle by use in tea beverages for fitness enthusiasts.